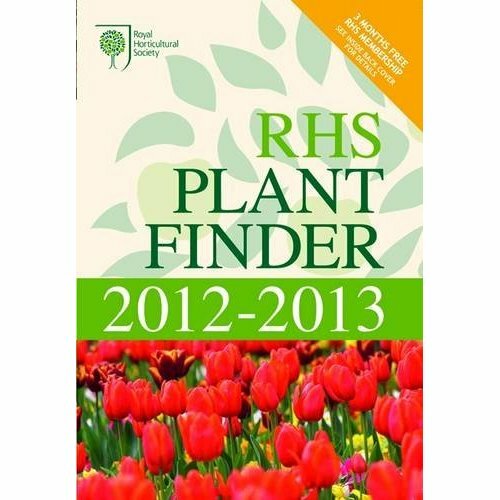 The latest edition of the Royal Horticultural Society’s annual publication, RHS Plant Finder 2012-2103 is now available . This encyclopaedia of around 70,000 cultivated plants provides the most up-to-date information on where plants can be bought by gardeners looking for their favourites and also for those planning to try some different cultivars. Among the plants listed, some 3,380 are new to the book this year, which equates to about 5%of the total. Details are also provided of more than 540 suppliers with information such as websites, how best to contact and procedures for ordering by mail. The RHS Chelsea Flower Show Plant of the Year 2011, Anemone ‘Wild Swan’ (which was exhibited by Hardy’s Cottage Garden Plants) is one of the plants entering the book for the first time with the largest number of suppliers. Because of bad weather conditions, some nurseries have had to decline being included in this year’s edition. Growers have said that they have to drop out for a year or two because they need to build up stocks. This is particularly the case with suppliers of tender plants, with some growers losing their entire stock because of snow damage. Apart from listing suppliers from the UK and the Republic of Ireland, RHS Plant Finder 2012-2013 also has an increasing number of entries from mainland Europe.